PHOENIX — The Arizona Diamondbacks have put their miserable May in the rearview mirror. The New York Mets are in a June swoon that keeps dragging on. It wasn’t that long ago that the tables were turned. 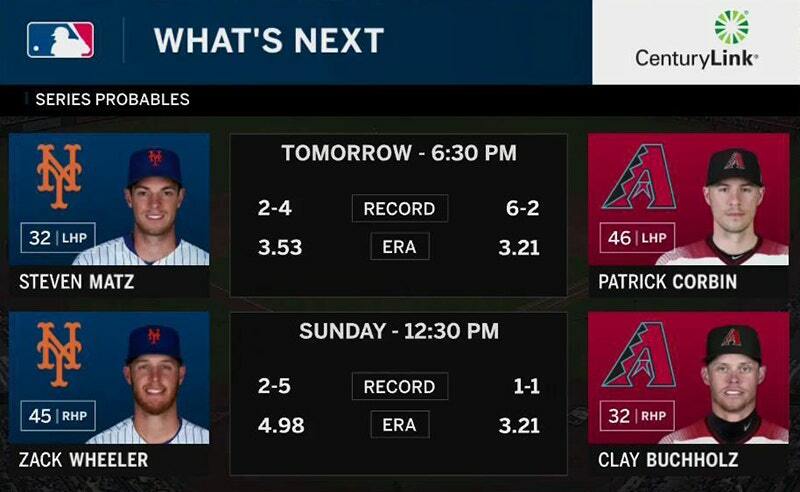 When the Mets swept three from the Diamondbacks in New York from May 18-20, Arizona was in the midst of losing 15 times in 17 games. Since then, the Diamondbacks are 13-4. "Hammer the good ones. It seems to be working right now." — Daniel Descalso on his current approach. Rookie manager Mickey Callaway insists he’s seeing subtle signs his team is breaking out of it. David Peralta singled with one out in the fifth ahead of Descalso’s eighth home run of the season. In the sixth, Jarrod Dyson drew a one-out walk, stole second and third and scored on Jay’s single to make it 6-2. Jay tripled in the eighth and Goldschmidt singled him home.